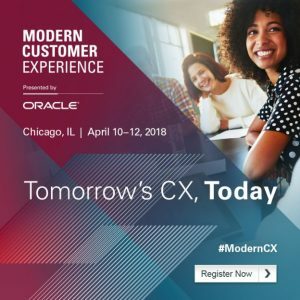 Join Keste at this year’s Modern CX show to learn what it takes to create the ultimate customer experience! From April 10 – 12 at Chicago’s McCormick Place, our team will be at kiosk (SAL-05) sharing our extensive experience, including customer panels and stories, that highlight our ability to implement CPQ Cloud, as well as, integrate and automate to close the loop on the customer journey. The key to a successful customer experience includes managing a complex sales process, enabling sales automation, integrating solutions to streamline the flow of key data, and providing a digital experience that today’s customer not just expects, but requires. CPQ Cloud is a key ingredient needed to accelerate sales, generate proposals, prepare your business for all the cloud has to offer, and more. Whether you’re in High Tech, Financial Services, Retail & Distribution, Manufacturing, or other leading industries, Keste has provided businesses just like yours the ability to streamline sales, data, and platforms to provide a 360-degree view for the customer, employees, partners, and product teams. Whether you’re a B2B or B2C, our team has transformed outdated businesses (think green screens) to help them increase sales and become digital leaders in their industry. So how can you benefit from Keste’s acquired knowledge? Stop by booth SAL-05 and meet with a Keste MVP. They can share success stories, best practices, or begin consulting on your project today. Learn about one of our many incentive programs and offers that will help you get started. Digital Transformation Roundtable: Register here for Keste’s Roundtable discussion on digitally transforming your business. Meet other customers who are leading their industries utilizing Oracle CPQ Cloud seamlessly integrated with CRM and ERP. Attend our networking happy hour at Woven and Bound at the Marriott for a chance to meet and mingle with Keste experts and others who are eager to improve the customer experience. Request your very own Digital Day or one on one meeting with Keste to receive your customized playbook for your journey to the cloud. With in-depth experience in a variety of industries, the Keste team will meet with you to review your current IT landscape, create a customized digital playbook, then suggest the processes and solutions to assure your business goals are met. Contact us today to learn more. Keste optimizes your sales process through robust digital strategies utilizing CPQ Cloud. Keste partners with companies to accelerate sales, improve margins, and control sales operations. 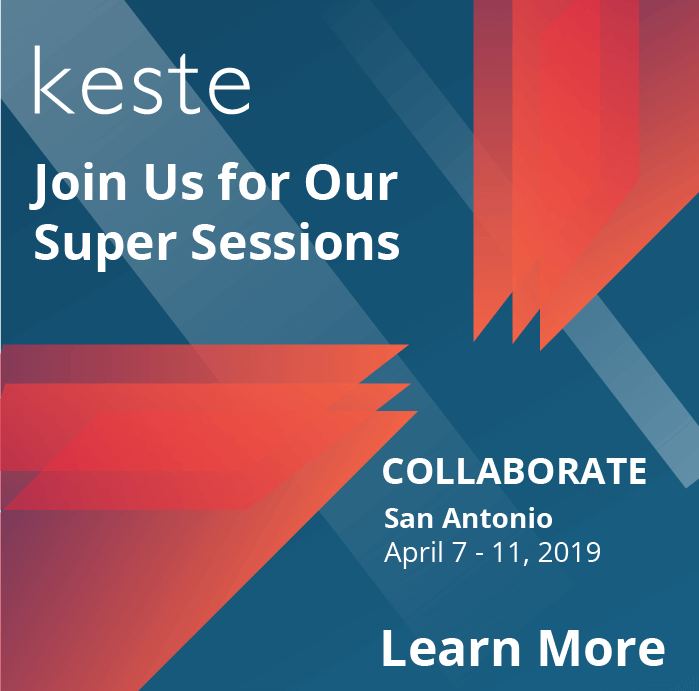 Learn how Keste has worked with corporations to create digital experiences driving growth and providing a 360-degree view of the customer and partner journeys. Stop by our kiosk to discuss your own digital strategy. Keste is an Oracle Cloud Excellence Implementer (CEI) and the 2017 Cloud Innovation Specialized Partner of the Year.